Right before we were blessed with the opportunity to adopt sweet Bryson and during the time I was finishing up my dietetics degree at BYU, I taught at the Missionary Training Center (MTC) and had the opportunity to share my love of the gospel with hundreds of missionaries while I worked there. Second to being a mom, it was the best job I've ever had. Each week at the MTC the missionaries have a devotional where members of the Quorum of the Twelve and other General Authorities come to speak. On one occasion Elder Holland came to speak and shared with the missionaries the most incredible talk about the purpose of trials I’ve ever heard. It struck me so deeply that to this day I have not been able to forget it. 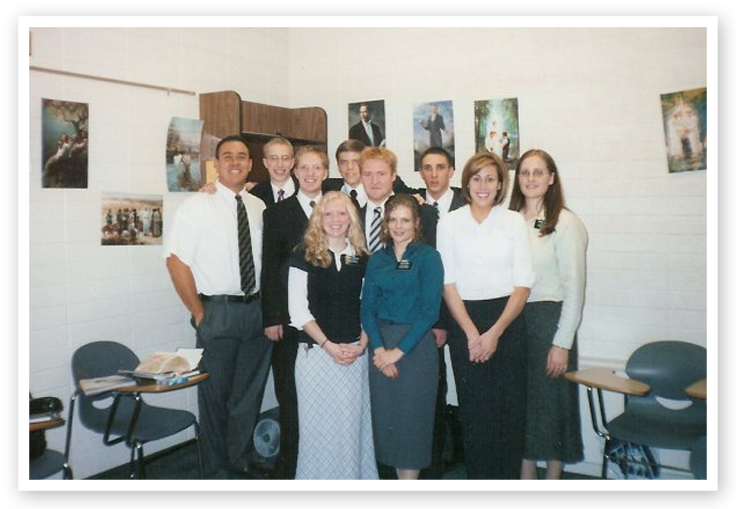 And then as if filled with a sudden burst of Heavenly inspiration, he started speaking directly to the missionaries in the room who he sensed were really struggling, who were having a really hard time, and more specifically to the missionaries in the room who were feeling like they wanted to quit and go home because it was just too hard. Elder Holland began to pour his heart out to those missionaries and told them that his mission meant EVERYTHING to him--that every good thing he had and every opportunity that had come to him in his life, was a direct result of his mission. He then went on to explain to them why missions and life have to be hard. He explained about the purpose of trials more clearly than I’ve ever heard it explained before. He said that missions and life were never meant to be easy. It has to be hard because salvation is not a cheap experience. He said if we are going to be His disciples, we have to have something to show for it. We have to have evidence of our devotion to Him. We have to have evidence that we desire to be like Him. He explained that Christ chose to retain the wounds in his hands, feet and side so that they could be the symbols of his messianic mission. Everything else about Him is perfect. His wounds are evidence that there is sacrifice involved in serving the Lord. They are there to remind us that it takes suffering, heartache, anguish and pain to become like Him. There is no other way. Throughout our lives, we have to have times where we cry in our own personal Garden of Gethsemane. We have to have times in our life where we take a step or two to Calvary. Elder Holland continued by very emotionally saying, "if you are going to be his disciple, how dare you ask, how dare you not go even close to a fraction of the cup He drank. How dare you ask to never go close to the tears He shed and the pain He felt. There is suffering for the saints." Mike and I entered our own personal Garden of Gethsemane this past weekend as we faced one of the most difficult trials of our lives. Because of the love and respect we have for the amazing young woman and family involved, I will spare the pictures and details, but I will say that this experience left our arms empty and our hearts completely shattered to pieces. I cried myself to dehydration. Right now we don't understand the why's, but we know there is purpose in this very difficult trial and that someday we'll understand. This weekend we've realized more than ever that it's during the most challenging times in our lives we can feel God closest to us because it’s during those times that His hands are directly upon us, molding us and sculpting us into the person he wants us to be...and YES it hurts, and YES, most of the time we don't want to go through it, but if we can endure and remain faithful through our suffering, we WILL feel God’s hands upon us. We WILL feel His power and love for us more fully during those times than at any other time in our lives. This weekend confirmed to me that is true. TO OUR FAMILY & FRIENDS: Thank you so much for your unbelievable support through this very difficult time in our lives. Every hug, every visit, every kind text, every treat delivered, every call, every prayer has meant more to us than you know. We have the most amazing family and friends and we feel so blessed. Because of your love and support, we're getting through this and we know we'll be okay. We love you and thank you from the bottom of our hearts.